Witawas Tiamtam came to Wor. Watthana gym in 2016 after it was clear his management had lost all interest in him. He hadn't fought in months, and his trainer hadn't held any pads for him long before that. The gym was in disrepair, and he was the last fighter to remain. The owner and head trainer of Wor. Watthana had known Witawas, who goes by the nickname Da, since he first started fighting nearly 10 years ago. Residing in the same village as the newly formed gym, it was an obvious fit for Da to start training there. But as he was still under contract with his former gym, negotiations had to be made before he could fight again. Wor. Watthana ended up buying out Da's contract. 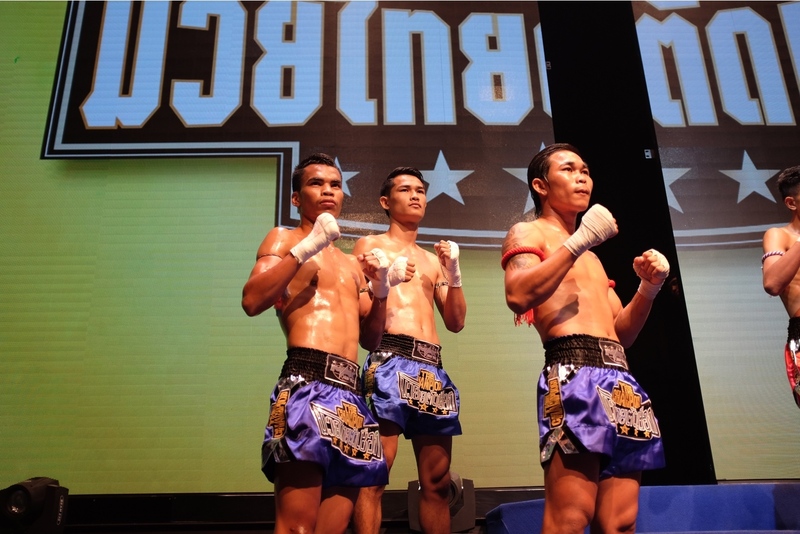 They took him to fight regionally but wanted more for the high school student and decided to give the newly formed promotion Max Muay Thai a try. Officially starting in 2013, Max Muay Thai promoted shows in Surin, Pattaya, and Khon Kaen Thailand, as well as in China and Japan. This was all broadcast live on Thai TV, before it started its weekly program in 2014. In 2015 it opened its own stadium in Pattaya and moved its viewership to Channel 8. It's currently the most watched Muay Thai program in Thailand, beating out the long reigning Channel 7. During the week, non-televised shows are used to scout fighters. They have a strict policy, that regardless of experience, fighters must fight for them live for a purse of only 3000 Baht (75 USD). Many fighters are turned off by this and refuse to lower their earnings. But for Da, who was making the same in Isaan, it was definitely worth the trip. And unlike Lumpini and Rajadamnern where you typically are invited to fight, Da's new management was able to ask for a fight at Max. 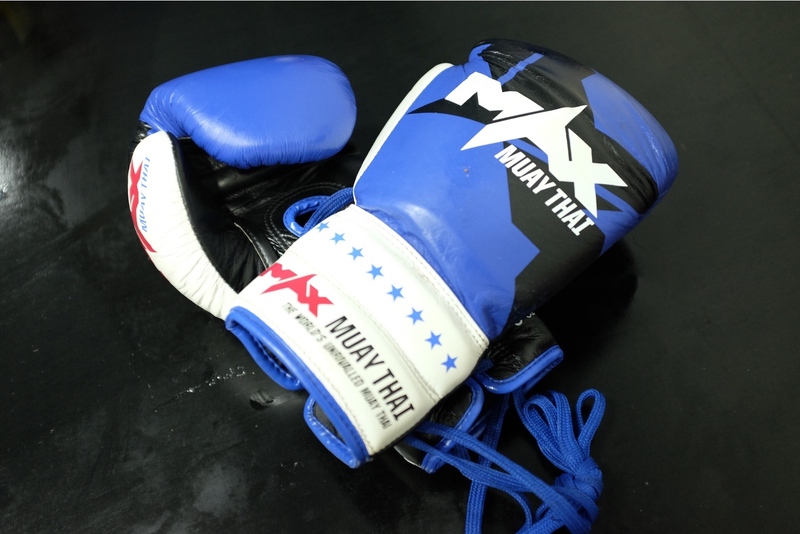 It wasn't Da's first time fighting three rounds, as he had been competing in amateur tournaments with his school for the past 2 years, but Max Muay Thai has its own set of rules. He was told that moving backwards, or even waiting to time his punches and kicks could lose him the fight. Walking forward and utilizing all his weapons would not only ensure him a win but a chance to fight on the televised program. For the televised program, Max is very generous with its fighters. The purse for Thais starts at 8,000 Baht (225 USD), which is the equivalent of one month's wages working menial labour. Winning or losing isn't the objective, with exciting performances fighters can be rewarded a 5,000 Baht (140 USD) bonus, or even a 10,000 Baht (280 USD) super bonus. 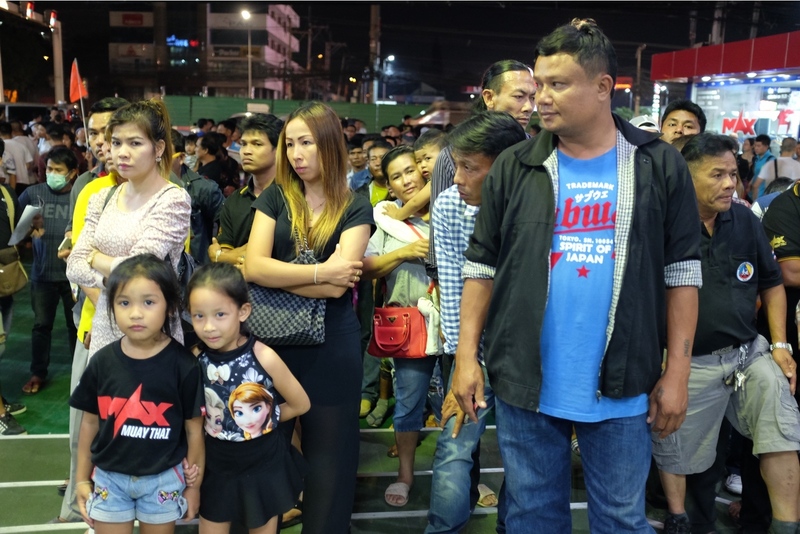 For the Thais, this is not small money and for a lot of the fighters in the roster it is more than they would be able to make fighting upcountry or in Bangkok. For Da, a chance to fight on TV would not only be his biggest pay day to date, but a chance for him to display his skills to his family and friends, in HD too. Da, known for his obedience at the gym, walked forward for three full rounds. Despite being an orthodox fighter, he utilized his left kick over and over again, steadily wearing down his Thai opponent and did enough to win the fight and earn himself a chance to fight on TV. However, he did not walk away unscathed and in the third round he received a nasty cut requiring five stitches for which he was paid 300 Baht (8 USD) per stitch. He was surprised at how tired he was after the fight and how he didn't remember much of it either. Later, he told his trainer that the pace he was fighting at didn't allow him to think, and while he made a few mistakes, it was much more exciting than his usual fights in Isaan. Max has an average viewership of five million people weekly in addition to the two thousand spectators that come to watch the show live. The show is well organized. Fighters are required to come to a pre-fight meeting and rehearsal the day before; the process lasts up to two hours. Photos are taken every time and for regularly appearing fighters, their photos are always updated. 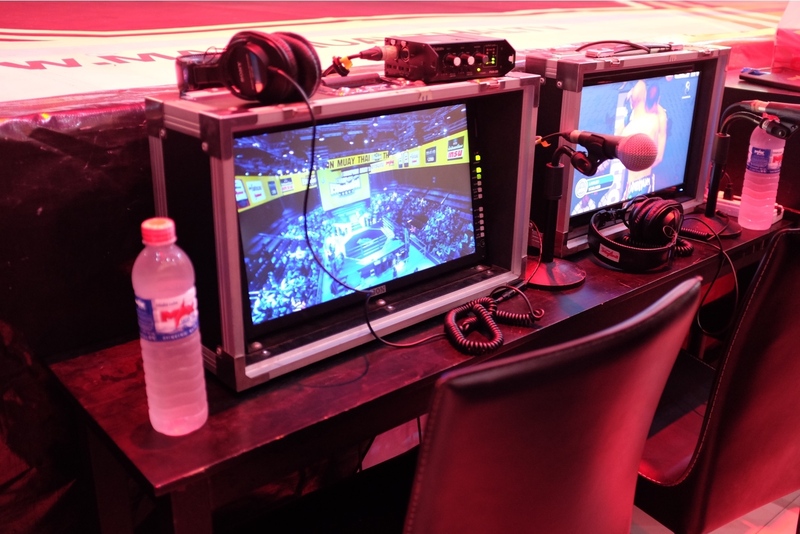 After photos, a rules meetings that the fighters must be present for takes place. Fighters who are late for the meeting are fined. 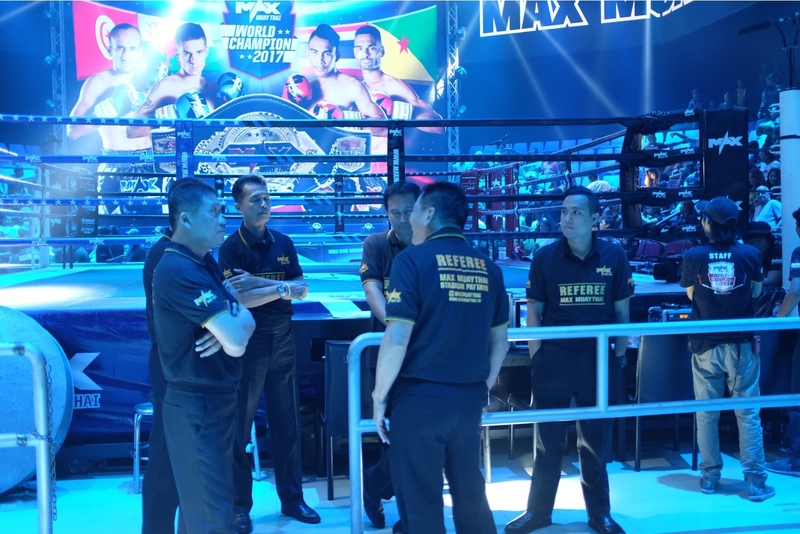 Every week, the staff at Max go through the rules and requirements with the same enthusiasm and encouragement: "don't back up, your family is watching, hard work in the ring will be rewarded." After the meeting, fighters are required to rehearse their walkouts and introduction. If it's not up to Max's standards, they must do it again until they get it right. "We don't want the fighters to cut too much weight. If they do the fight won't be exciting. We want three rounds of action packed fighting and if you cut too much weight you can't fight the we want. Fighters always want to fight as low as possible, but having them weigh in before the fight I know their actual weight and can match them up accordingly." Fighters are still required to officially weigh-in a day before the fight, but Mr. Mok matches them up in a weight class where they are only cutting 2-3 kilograms. After the weigh-in, fighters are fed and then sent off for rehearsal and photos. For those requiring a hotel, Max has got you covered. Despite all the formalities, Da loves fighting at Max. He won his televised debut and has gone 6-1 with the promotion since then. He feels valued as a fighter and is making much more than he ever could upcountry or in Bangkok. But fighting at Max isn't without its risks. Fighting since he was nine-years-old, Da, now eighteen, has amassed over 200 fights and in all those fights he has been cut a mere two times. But at Max, with promoters yelling at you from every corner, pushing you to walk forward and keep busy, he has been cut three times already. For Da however, this is the only downside of fighting at Max. And with the televised show offering 500 Baht (14 USD) per stitch it seems to make it ok.